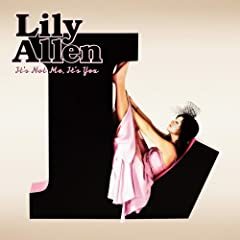 Lily Allen's It's Not Me, It's You, her follow-up to her successful debut Alright, Still is out tomorrow, and the vinyl picture disc edition is at the top of my shopping list. Dan Auerbach of the Black Keys drops his solo debut, Keep It Hid tomorrow. Singer-songwriter Ben Lee will donate a percentage of the proceeds from his new album, The Rebirth of Venus, to the FINCA Village Banking program, which offers small loans to low-income female entrepreneurs around the world. In a rather slow week for releases, I can also strongly recommend Charles Spearin's The Happiness Project, Golem! 's wonderfully playful Citizen Boris, Miranda Lee Richards' Light of X, and Wilco guitarist Nels Cline's Coward. Candi Staton: Who's Hurting Now?